South Palm Springs is the setting of this Canyon Heights home. Aptly named as the views of the surrounding mountains and canyons is nothing short of breathtaking. Several private patio areas create vignettes for lounging, dining, sunning and star gazing. 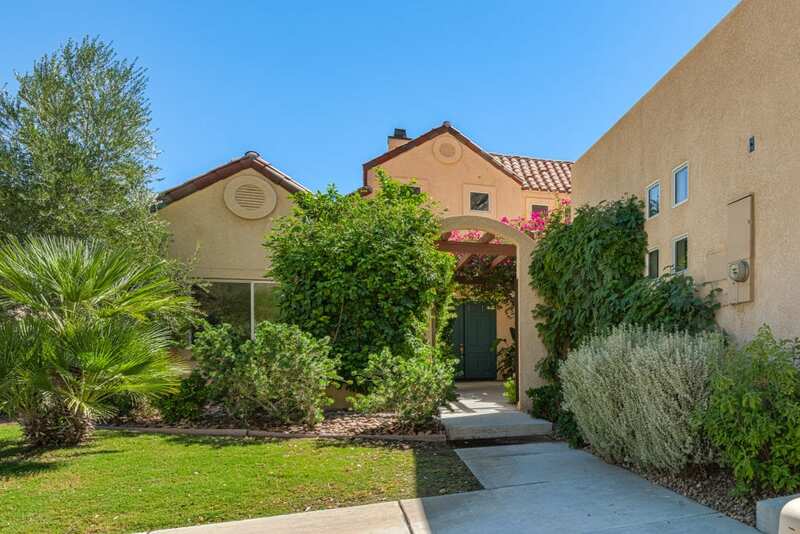 Step inside the gated courtyard and discover the over-sized casita with private bath. In the main house free flowing living space with fireplace and wet bar blends into the open kitchen area with counter seating and separate breakfast nook. Upstairs to the master suite with double sided fireplace to the spa feeling bath with soaking tub. The private balcony off the master is not to be missed and affords some of the best Palm Springs views ever. Just outside the master is an area that could double as reading area or perhaps home office and garden areas have been thoughtfully planted. The gated community offers swimming, tennis, pickle ball as well as a community clubhouse and direct access to the adjacent mountain trails.